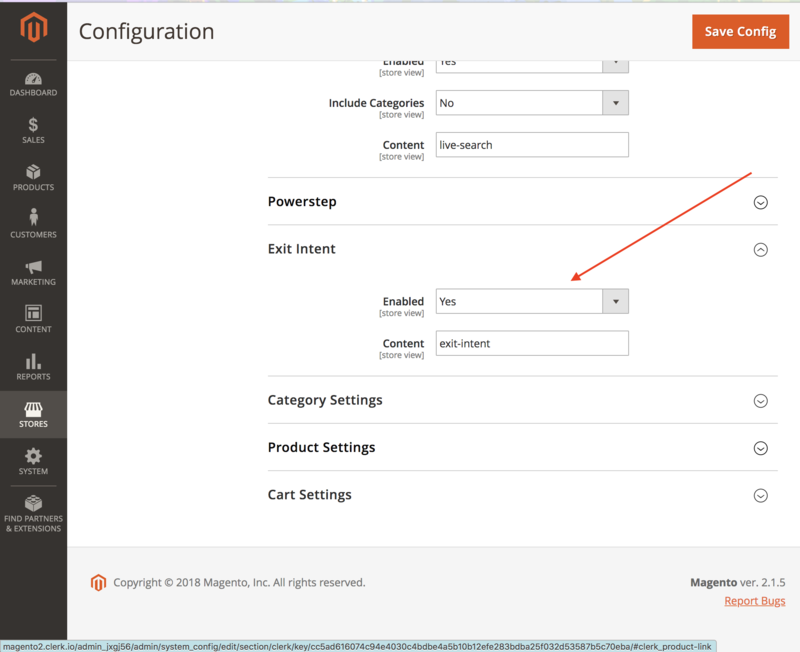 In the Magento2 backend, go to Stores->Configuration->Configuration in the side-menu and find Exit-Intent Settings. 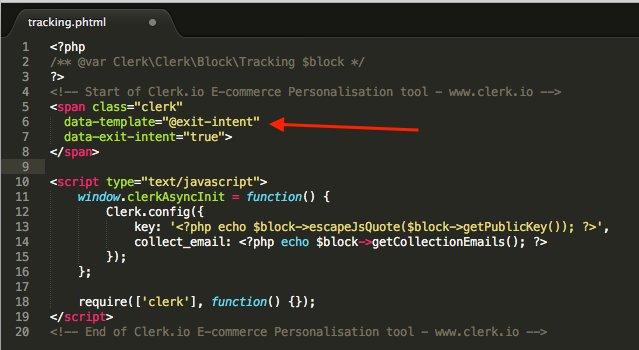 Check the Enabled box, and make sure that the Content field contains "exit-intent". Now you will see the exit intent pop-up when anyone tries to leave the page. All recommendations containing the data-exit-intent="true" will trigger the exit intent pop up.